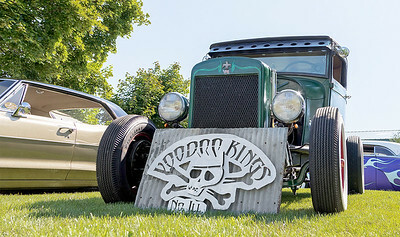 Ken Koontz - For Shaw Media The final VooDoo A-Go-Go car show at the Volo Auto Museum in Volo was held Saturday July 1, 2017. 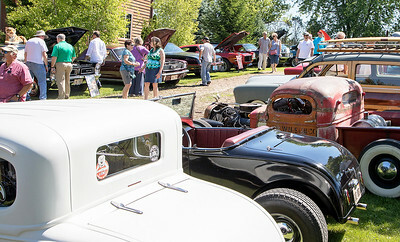 The show attracted hundreds of car buffs from the area. Proceeds from the show will benefit Compass to Care. 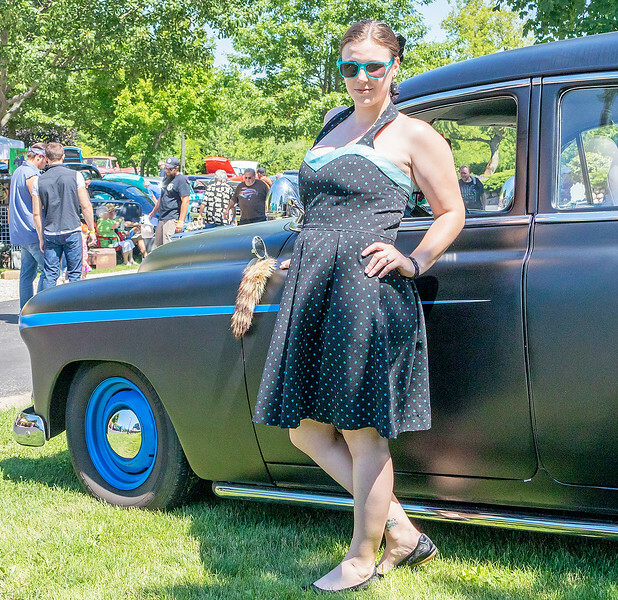 Ken Koontz - For Shaw Media Aubry Dickson poses next to her uncles’ 1952 Chevy Saturday, July 1, 2017 at the Fifth annual VooDoo A-Go-Go car show held at the Volo Auto Museum in Volo. 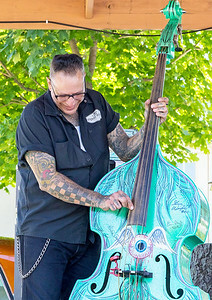 Ken Koontz - For Shaw Media “Voo Doo” Larry Grobe plays his bass Saturday, July 1, 2017 at the VooDoo A-Go-Go car show held at the Volo Auto Museum in Volo. In addition to playing in the band, Larry is one of the coordinators of the annual show. 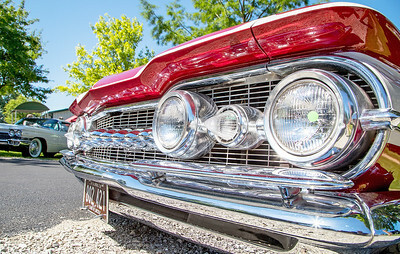 Ken Koontz - For Shaw Media A 1964 Cadillac rolls into the final VooDoo A-Go-Go car show at the Volo Auto Museum in Volo on Saturday July 1, 2017. 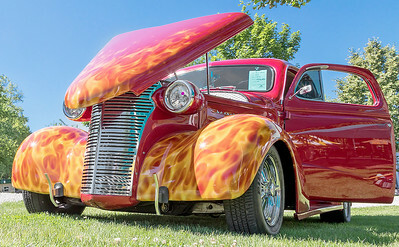 Ken Koontz - For Shaw Media A 1938 Chevy owned by Pete Foley was just one of the many cars at the VooDoo A-Go-Go car show held at the Volo Auto Museum in Volo, Saturday July 1, 2017. 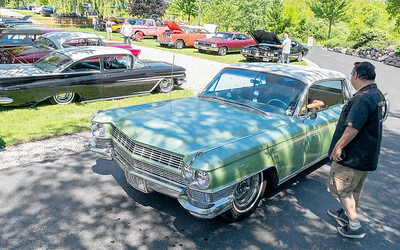 Ken Koontz - For Shaw Media Plenty on car enthusiasts were on hand Saturday, July 1, 2017 at the Fifth annual VooDoo A-Go-Go car show held at the Volo Auto Museum in Volo. 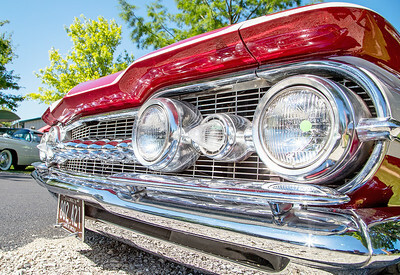 Ken Koontz - For Shaw Media All the chrome was polished and the cars were shining Saturday, July 1, 2017 at the VooDoo A-Go-Go car show held at the Volo Auto Museum in Volo. 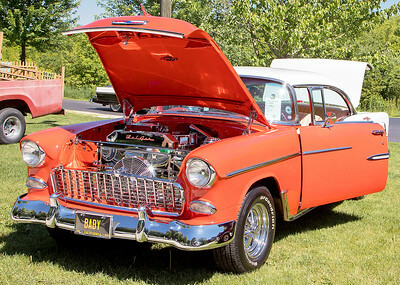 Ken Koontz - For Shaw Media A 1955 Chevy owned by Joe DiGiovanni is looking sharp Saturday, July 1, 2017 at the Fifth annual VooDoo A-Go-Go car show held at the Volo Auto Museum in Volo. 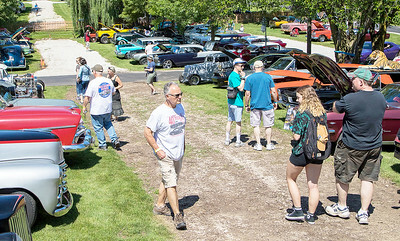 Ken Koontz - For Shaw Media Cars of all kinds are all lined up and ready for the crowds to enjoy Saturday, July 1, 2017 at the Fifth annual VooDoo A-Go-Go car show held at the Volo Auto Museum in Volo. 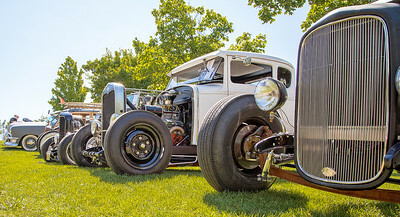 Ken Koontz - For Shaw Media Hundreds attended the fifth annual VooDoo A-Go-Go car show held at the Volo Auto Museum in Volo, Saturday, July 1, 2017. Aubry Dickson poses next to her uncles’ 1952 Chevy Saturday, July 1, 2017 at the Fifth annual VooDoo A-Go-Go car show held at the Volo Auto Museum in Volo.